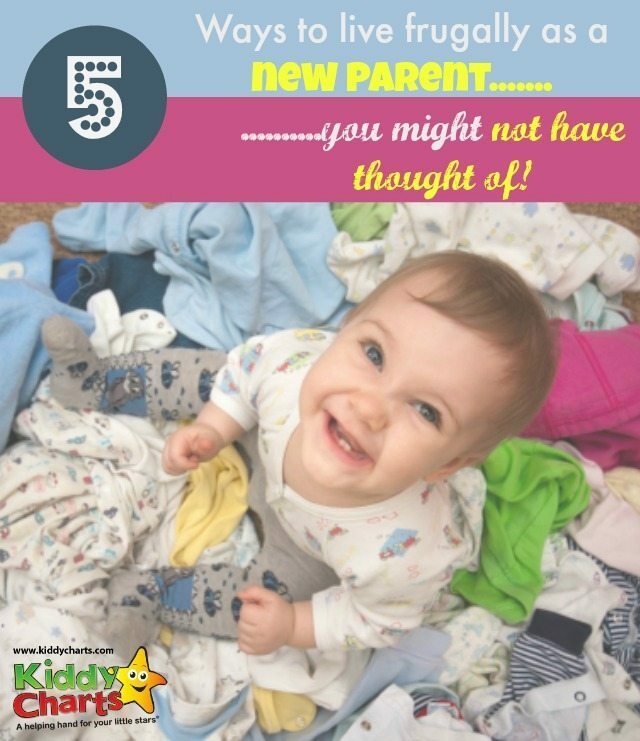 There are many things that give new parents a bit of a sore head, and have us all thinking that very same thing. That feeling of having to find a bit more money tops up an already rather stressful situation ;-). Babies, and money worries keep us all up at night, don’t they? So, why not reduce at least one of those worries just a teeny, tiny bit? Here are my top frugal living tips for new mums and dads out there, to help ease the financial strain that having a little one can place on your pockets, and your sleep deprived minds. I appreciate that breastfeeding isn’t for us all, so clearly it is your choice. The cost consideration is just something else to take note of, and not a pressure to keep going. 3. If you must buy it, get money off! It is amazing to think back to those days. As a mum of a 7 and a 9 year old, I am sure we are programmed to forget how many times we have changed those nappies. Just imagine how the costs for that will mount up? Why not reduce that cost then by buying reusable nappies? They become even more frugal if you are going to have more than one child. You can reuse them with subsequent kids, and get even more cost benefit. We used them and though we were a little perturbed by baby’s bottom size at first, we soon got used to it. The benefits were not just in the back pocket either, but also environmental. Further reduce your costs by washing them overnight too. Now I am biased, but you can’t do better than subscribe to a few blogging friends of mine, from Diary of Frugal Family, to Baby Budgeting; all have excellent advice for those trying to be thrifty and get those baby costs down. This is a great list from Becky at family budgeting too, of the top thrifty parenting blogs in the UK. From 2012, but most are still going strong. What tips do you have for frugal living; do let us know on Twitter and Facebook, or in the comments below as well. I have three, and it kind of went like this… Child 1: baby registry for miles, baby shower, decked out nursery, used everything but 90% of it used once or twice. Outgrew a good bit of the clothing while tags were still on. Child 2: Bring the most useful hand-me-downs from the attic, but most of the baby swag has been sold, given to friends, or will stay up in the attic. Child 3: A lot of the hand-me-downs are worn out. Replace only a few essentials but realize that babies don’t need much at all. We’ve certainly been guilty of buying what WE want rather than what she needs. The big ticket items like pushchairs are the hardest ones to avoid, but getting last years model in the sales felt like a big win. Any savings elsewhere really help too and this is all useful advice.